We’ve all been there: the only flights that seem to work leave an awkwardly long period of time in-between flights, which means either camping out in a lounge or at the gate for hours on end. 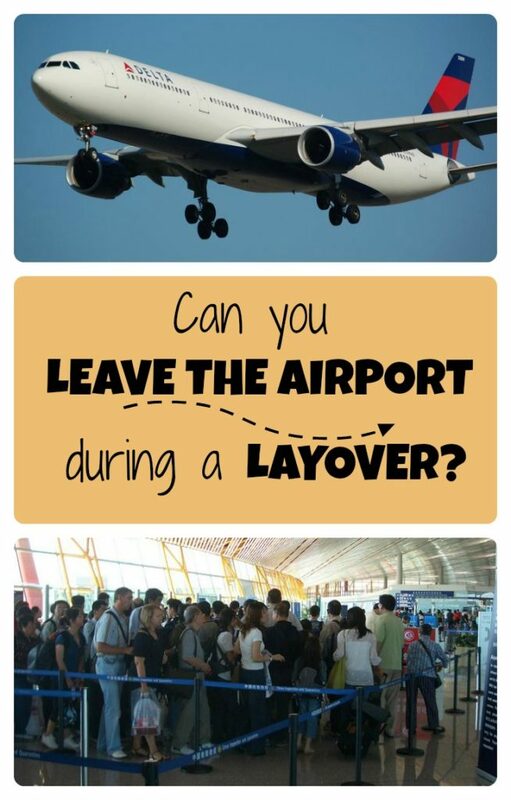 By the time hour six rolls around, you may wonder to yourself (or your neighbor), “can you leave the airport during a layover?” The answer is YES, but knowing some of the information below will make your respite from the airport less stressful and more enjoyable! Is this really where you want to spend eight hours? I’m a neurotic traveler, just ask my partner, and therefore, we often have LOTS of airport time on our hands. If you find yourself with a 3-4 hour layover, I might suggest staying put and finding a lounge to visit. My comfort range is in the 7-8 hour window. That gives you enough time to leave the airport, get to whichever city your laying over in and enjoy a few hours, and then make your way back to the airport. It depends! Some countries don’t require visas at all, or don’t require them for short trips. You’ll want to check ahead of time to verify if the country you’re transiting in requires a visa. This website is a great resource, and outlines the visa requirements for every country. 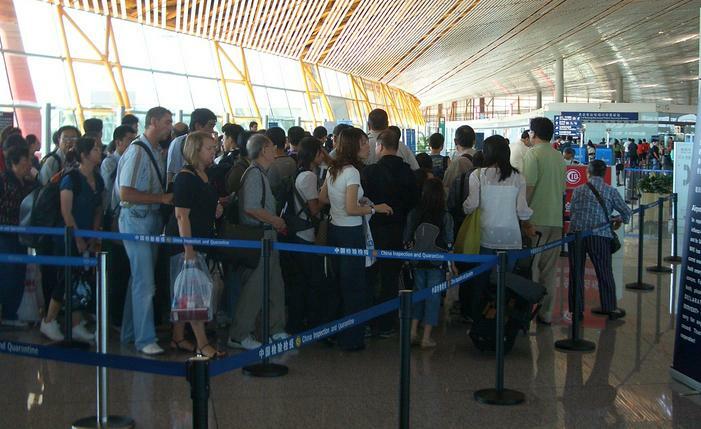 Also check with your airline, as some tickets do not allow you to leave the sterile transit area. It would be a good idea to make sure you have all your paperwork in order, such as boarding passes or IDs. If you don’t get all your boarding passes upon your first check-in, make sure to visit a gate agent and ask them to print out any other boarding passes your might need. If you’re trying to make a quick trip into the city, the last thing you’d want to do is lug your luggage around with you. If you’ve checked a bag, that bag will often be checked all the way through to your final destination, so there is no need to worry about it. Should you need to collect your bag (like transferring from an international flight to a domestic one in the US), you can often times leave your bag at the Left Luggage counter or at an airport locker. This also applies to your carry-ons, but I’d recommend taking those with you, as you often carry your most valuable things with you. This is probably the most stressful part of leaving the airport during a layover. After a quick trip to explore, you’ll want to give yourself enough time to get through security again, as well as customs and immigration if needed. This can sometimes take a bit of time, given the time of day or year, so make sure you budget enough time to get to your plane with ease. If you give yourself plenty of time to get back from your quick excursion, this image shouldn’t stress you out too much! As long as you give yourself enough time, know the rules, and pack accordingly, you should have no problems leaving the airport during a layover to enjoy time in a (potentially) new city. So the next time you’re in the airport and someone asks you if it’s possible to leave the airport during a layover, tell them yes! One thing my wife and I have noticed that really helps on domestic layovers is having TSA Precheck. This makes getting back through security way faster at times and less stressful. I found myself with a 13 hour layover in Berlin three years ago, and checked with the information desk about tours of the city. A short bus ride took me to a hotel where I purchased a double decker on-off bus ticket and spent an interesting several hours seeing the main sights of Berlin before returning to Tegel. However, I did have to bring along my carry-on! Ah that’s true – with a limited time, a cab might be the way to go, especially if you had much luggage. Glad you had a great time in Dublin and glad I could help in any way possible! I wonder how many people would leave the airport to use a day-pass lounge?